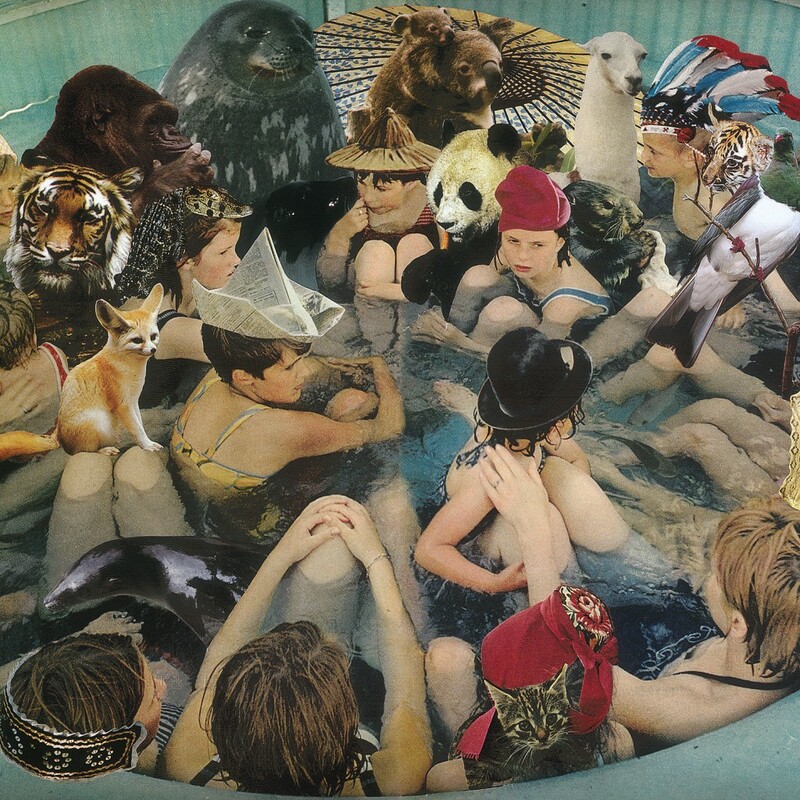 And we have a hell of an inaugural track: Panda Bear‘s “Good Girl/Carrots.” The album this comes off, 2007’s Person Pitch, is one of my favorites. It might seem a little outré at first, but almost every track on here is as listenable as it gets. Panda Bear’s main project, Animal Collective, has always seemed over-the-top in pretense and artsiness, but Person Pitch dispenses with that and lets rhythm and melody take over. Of course, this 12 3/4-minute track is a journey, switching back and forth between tempos, grooves and dissonance. The “Carrots” section, which starts at about 4:30, is just made up of endless hooks, and the samples and reverb mark the start of the “stoned surfer genius in the Caribbean” vibe that still pops up in music now, seven years later. Mel’s project this time around was a batch of amazing carrot cake cupcakes. 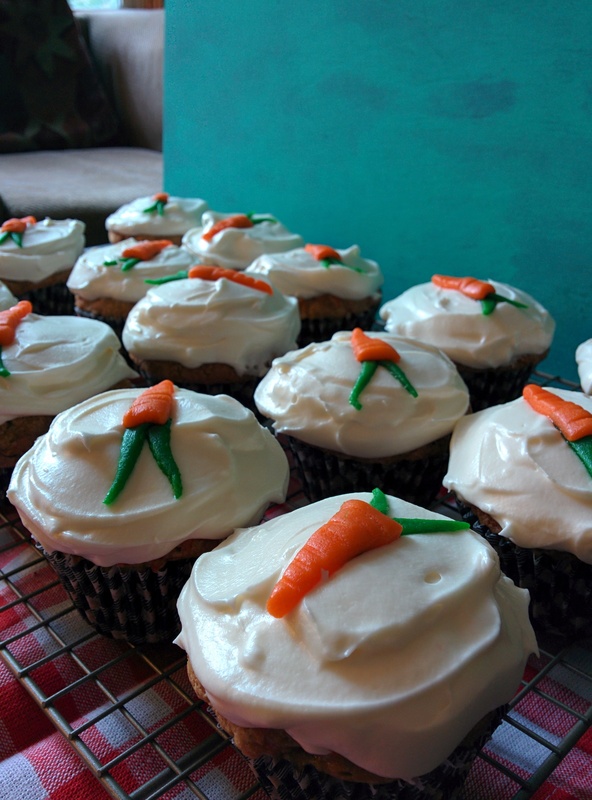 I think it was especially fitting, since, like the music of Animal Collective and their side projects, carrot cake can be polarizing. “Carrots? In cake? GTFO.” The cake was light, the frosting was tangy, and Mel carved out a notch in the cupcakes to make room for even more frosting. I’m looking forward to the day those hardened critics eat a proper carrot cake and their eyes pop open the same way mine do when Person Pitch hits just the right spot. You can check out Mel’s process and recipe at her (newly revived!) blog, and have a listen to “Good Girl/Carrots” below, care of YouTube user MrMissGlorious. This entry was posted in Tracks and tagged Panda Bear, Paw Tracks by Brandon. Bookmark the permalink.